Reservation Phone: 1-877-NAVY-BED ext. GRE, C-877-688-6675/3746, DSN-877-792-6675, Fax-C-847-688-4940. Reservation Information: Active Duty, Reservists and NG on orders can make reservations; others, Space-A. No pets. Reservation Address: Great Lakes 2423 MacDonough Dr. Bldg. 62, Great Lakes, Illinois, 60088. Office Hours: 24 hours daily. Eligibility: AD, NG, Res, Ret, and their dependents; Widow/ers; DoD-Civ, DoD-Civ Ret, and their dependents. Handicap: ADA accessible rooms available. Call facility for more information. Pet Policy: Pets are not permitted in lodging facilities. Amenities: A/C, CATV/VCR, Cribs/Cots, Game room, Housekeeping, Iron/Ironing board, Laundry Availability, Microwave and Refrigerator. Reservation Phone: C-1-800-NAVY-INN. Lodge number is C-847-689-1485, Fax: C-847-689-1489. Reservation Address: Bldg 2500, Meridian Drive, Great Lakes NTC, IL, 60088-3405. GPS address 2710 Meridian Dr, Great Lakes, IL 60088. Check In: 1500 hours Check Out: 1200 hours. Credit Cards: AMEX, DISC, MC, VISA, (Star Card not accepted). Eligibility: AD, NG, Res, Ret, and their dependents; Widow/ers; DoD-Civ, DoD-Civ Ret, and their dependents, family of graduating recruits. Handicap: Handicap accessible rooms available. Call facility for more information. Pet Policy: Pets are permitted in lodging facilities for a fee, please call for information, as the rooms are limited. Amenities: A/C, Alarm Clock, Cribs/Cots, Coffee Maker, DVD rental, Hair dryer, Housekeeping Service, Ice Machine, Internet Access, Iron/Ironing Board, Kitchenettes, Laundry Availability, Microwave, Outdoor Grill, Picnic Tables, Playground, Refrigerator, TV/Cable in rooms, Utensils and Vending Machines. BEQ: Bldgs 833, 834, 430, 431, 433-435. Bldg 833, E5-E9, bedroom, private bath (108); DVEQ: units (2). Bldg 834, E5-E9, bedroom, private bath (57). E1-E4 shared bedroom, private bath (53). Bldg 430, E5-E9, private bedroom, and bath (54). E1-E4 shared bedroom, private bath (12). Bldg 431, E5-E9, private bedroom and bath (56). All units include refrigerator, microwave, coffeemaker, A/C, CATV/VCR, housekeeping service, laundry facilities. Brick barracks structure, recently renovated. Rates: $32-$37, VIP $55, Active Duty, Reservists and NG on orders may make reservations; others, Space-A. No pets. BOQ: All ranks, government civilians, all grades, official duty. Suites: separate bedroom, sitting room, kitchenette, private bath (140). All units include refrigerator, microwave, A/C, CATV/VCR, housekeeping service, laundry facilities, iron/ironing board, cribs, cots, game room. Brick barracks structure. Rates: Sponsor -, each additional over age 5 ; VIP , each additional . Maximum five people per unit. Active Duty, Reservists and NG on orders can make reservations; others, Space-A. No pets. DV/VIP: Commander, Bldg 1, C-847-688-3400. E9, 06+. Check with Commander. Rates: Sponsor , each additional person. Maximum five per unit. DV/VIP cottage, private bath (1). Kitchen, refrigerator, microwave, A/C, TV/VCR, housekeeping service, laundry facility, iron/ironing board, cots, cribs, game room. Active Duty, Reservists, NG on orders and Medal of Honor recipients can make reservations; others, Space-A. No pets. Navy Lodge Kitchenette rooms, Two queen beds, private bath. Refrigerator, microwave, coffee maker, utensils, A/C, SATV/DVD, video rental at front desk, phone, housekeeping service, hair dryer, iron, ironing board, laundry facility. Eleven sets of interconnecting units, also handicap accessible rooms. Rates: $65 per room. Maximum five per room. Types of Lodging: Navy Gateway Inns & Suites BEQ, BOQ, DV/VIP and Navy Lodge Suites, Regular and Kitchenette rooms. Base Operator/Main Telephone Numbers: C-847-688-3500, DSN-312-792-3500. Main Installation Address: 2601 E. Paul Jones Street, Great Lakes, IL 60088-2845. Directions to Main Gate: If arriving by auto, NAVSTA is located approximately 3 miles east of Hwy. 41 and approximately 15 miles east of Interstate 94/294 at US Rt. 137 (Buckley Rd.) Coming north from the Chicago area using the bypass Interstate 294 (north), to Rt. 137. Make a right turn on Rt. 137 (Buckley Rd.) and go east approximately 6 miles. 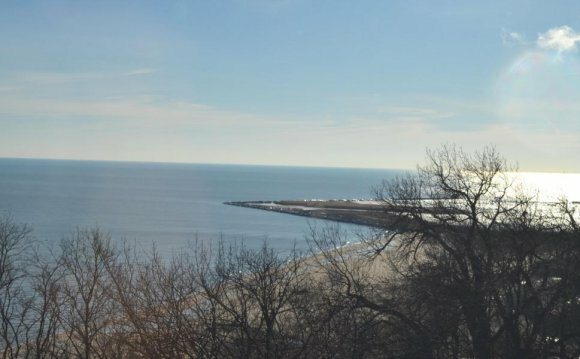 Location: Naval Station Great Lakes is a military town, located on the shores of Lake Michigan, approximately 1 hour north of Chicago, Illinois and 1 hour south of Milwaukee, Wisconsin. Our mission is to train Sailors for the Fleet. Base Police: C-847-688-3333 (Emergency), C-847-688-3430 (Non-Emergency) or 911. Medical: Captain James A. Lovell Federal Health Care Center, Fisher Health Clinic Great Lakes, C-847-688-6712, DSN-312-792-6712. Golf On Base: Willow Glen Golf Course-Buckley's Restaurant and Lounge, C-847-688-4593, DSN-312-792-5723. Places to Eat: McDonald’s, Subway, Taco Bell, Pizza Hut, Navy Dining Facility and Base Clubs are on base. List of local restaurants available at front desk. Outdoor Recreation: Great Lakes Outfitters, Summer, C-847-688- 2110 ext.116. Winter Months, C-847-688-3419, DSN-312-792-3419. Bldg. 440, Fieldhouse. Downhill and cross-country skis, snowboards, snowshoes, ice skates, ice fishing equipment and more is available for rent or purchase at winter facility. Shopping Off Base: Gurnee Mills Mall is nearby. Ticket & Tour: C-847-688-3537, DSN-312-792-3637. Swimming: C-847-688-3419, Bldg. 440, houses a 25-meter indoor pool. Second pool (30 yards) in Bldg. 80-H. Nunn Beach is located on the lakefront of beautiful Lake Michigan, open Memorial Day to Labor Day. Things To Do: Boating, swimming and all water sports are available through the marina beach house. An 18-hole golf course, bowling center and other extensive support facilities are available on base.